Yes, it is possible to watch YouTube videos frame by frame. Sometimes, we may need to view videos frames. So, you can do this on any web browser within the official YouTube website. Because YouTube also provided the keyboard shortcuts for frame stepping. Recently, I wrote about how to go video through frame by frame in VLC player. VLC player is the best media player. With this media player, you can also stream YouTube videos. Fortunately, The VLC player provides a “frame by frame” feature. So, with this option, you can also view each frame of the video from YouTube. There may be so many reasons to watch video through frame by frame. It also helps to take a better screenshot from the video. If you want to view 1 second of video in depth, then, only this option will helpful for you. You want to take the best screenshot. You want to extract some frames from YouTube Video. If you want to watch the video in depth (Want to watch the video by frames). Many users use third party websites to do this. But, if you are using YouTube from PC then, you can easily watch YouTube videos on a web browser and VLC player and view each frame of the video. 1. Open YouTube.com from a web browser on your PC and Play any video. 2. Pause the Video and Press < and > (Comma and period keys) keys for backward and forward frame stepping. These keyboard shortcuts provided by YouTube itself. Also, this is the easiest way to view video frames. 1. Open YouTube from any web browser and play any video. After that, Copy the URL while playing video on the web browser. 3. Click on the “Network” option and paste the URL that is copied from the YouTube. 4. Now Click on the Stream ‘arrow icon’ and Click on the Play option (Keyboard Shortcut: ALT + P). After that, wait for seconds, and YouTube video will be playing in VLC media player. 5. While playing video, Press “E” key from the keyboard to watch the video frame by frame. Press E key again and again for next frames. That’s all. You can also capture the snapshots from the video by pressing Shift + S keys from the keyboard. So, it is easy to extract frames from the YouTube video with this method. After extracting the frames, you can also create an animated GIF image from frames. You can also use the third-party website to do this. Below are the steps. 1. 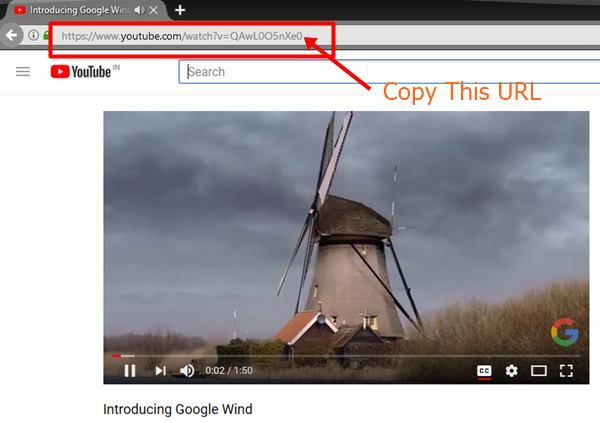 Open YouTube from a web browser and copy the URL while playing the video. 2. Open www.watchframebyframe.com and paste the URL of Youtube video. So, guys, with this method, you can easily watch YouTube video frames. It is not difficult to do this task. If you want to capture a better screenshot from YouTube video, then, this method is best for you. Because if a video is recorded in 30fps then, there are 30 frames in one second of video.